1. membrane film. 2. Carton. 3. PVC carry bag. 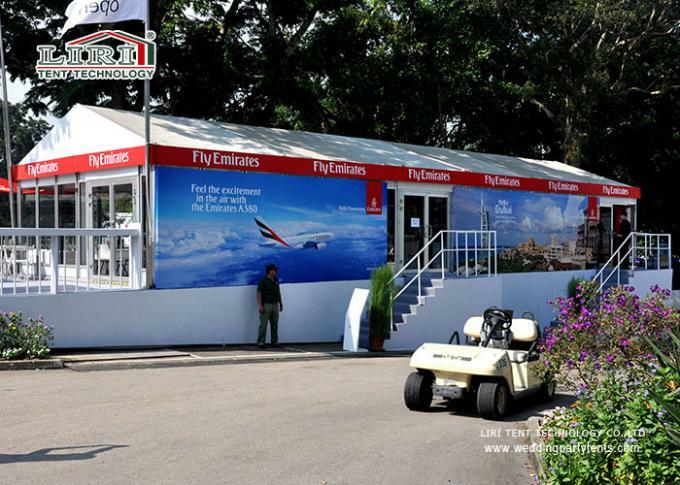 Our tent is wildly used for outdoor exhibition, such as car show, air show and so on. With it's luxury glass solid wall and ABS solid wall, it looks so beautiful and elegant. The width of our tent is from 3m to 60m, and the length is unlimited. 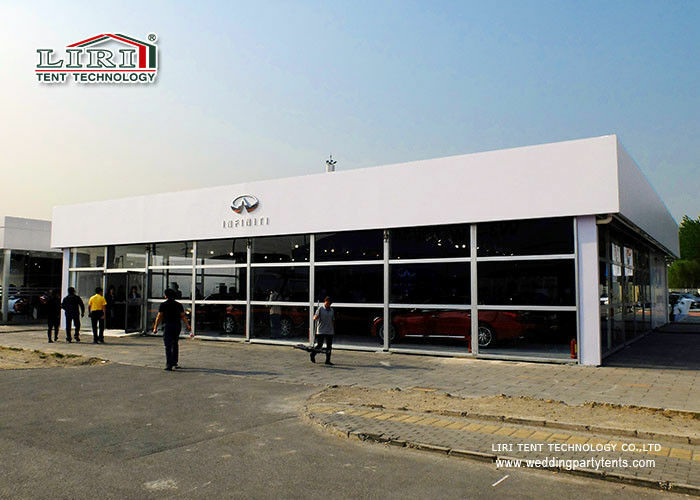 Our tent is modular design, and can be assembled and dismantled easily and repeatedly. You can remove the tent from one place to another place quickly, it's helpful if you are tent rental company and event company. LIRI TENT is the 1st aluminum tent manufacturer in China since 1997. In the past 19 years, we own so many good reputation from all over the world. The footstone of LIRI keep developing is high quality products and reasonable prices. If you buy tent from us. You don't need to worry anything. LIRI TENT is always on your side. l Tent Frame: hard pressed extruded aluminum 6061/T6(15HW) which can last more than 20 years. l Cover Fabric: high quality double PVC-coated polyester textile, 100% waterproof, flame retardant to DIN4102 B1, M2, CFM, UV resistant, tear resistant, self-cleaning ability, etc. l Easy to be assembled and dismantled easily and repeatly, movable. l No pole inside, 100% available interior space. l Optional Items: table, chair, lighting, AC, carpet, installation tools, booth, mobile toilet, etc.